One of the successful attacking midfielders from Japan is named as Shinji Kagawa. He plays for German top club Borussia Dortmund and Japan national team. Out of Japan, he started his European football from Dortmund in 2010. His talent earned him a place in Premier League club Manchester United. He returned to Borrusia Dortmund in 2014 and has proved himself as one of the key players at the club. Initially, he has represented Japan at different age levels and made his senior debut in 2008. He is the recipient of the 2012 Asian Football Confederation International Player of the Year. He is well known for his crisp ball handling and great field vision and could play on either the left or right flank. His ability to pick out a key pass and an eye for goals. Shinji Kagawa was born on 17 March 1989 in Tarumi-Ku, Kobe, Hyogo, Japan. He is Japanese by his nationality. His ethnicity is Asian. His horoscope is Pisces. At the age of five, Shinji Kagawa started playing football. He played for Marino football club from 1994 to 1999 and Kobe NK Football Club from 1999 to 2001. He also played for FC Miyagi Barcelona in Sendai from 2001 to 2005. He was the first Japanese footballer who agreed in a professional contract before graduating from high school. In 2006, Kagawa moved to Cerezo Osaka at the age of 16. Shinji is known as the first Japanese footballer to sign a professional contract before finishing school. In 2007 the midfielder made his first appearance for Cerezo in the J. League Division 2 and in 2009 he helped the team to get back to the J. League Division 1 becoming the top scorer of the J. League Division 2. Following his success at Cerezo Osaka, German club Borussia Dortmund signed Kagawa in 2010 for a transfer fee of 350,000 Euro. Kagawa became favorites to Dortmund fans in a very short period of time. Kagawa won the Bundesliga in his debut season at Dortmund. Kagawa again won Bundesliga and DFB-Pokal title in his second season at Dortmund. Premier League club Manchester United signed Kagawa in June 2012 for an initial transfer fee of 12 million pounds becoming the first Japanese player to join the club. Kagawa made his Premier League debut in August 2012 against Everton. Kagawa became the first Asian to score a hat-trick in the Premier League on 2 March 2013, when Manchester United defeated Norwich City 4-0 at home. Kagawa won a 2012-13 Premier League title at Manchester United in his debut season and also became the first Japanese player to win the title. He also won 2013 FA Community Shield at Manchester United. 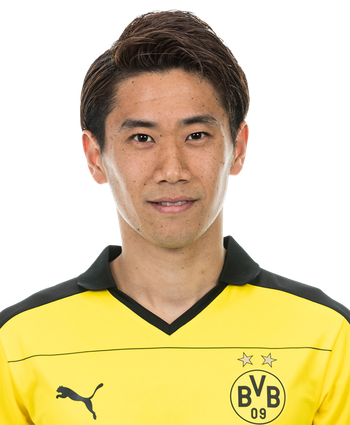 Kagawa returned to his former club, Borussia Dortmund in August 2014, for an undisclosed fee reported to be around 6.5 million pounds. In 2017, he extended his contract at the club until 2020. Initially, Shinji Kagawa has represented Japan at different age levels including Japan U19, U20, and U 23 teams. Kagawa made his senior international debut in 2008. Kagawa was a key player of the team when Japan won the 2011 AFC Asian Cup defeating Australia in the final. Kagawa played his first World Cup in 2014 FIFA World Cup. He was also included in the Japanese squad for the 2018 FIFA World Cup in Russia. Currently, Shinji Kagawa is in a relationship with a Japanese-Canadian fashion model, Margaret Natsuki. She is a former TV presenter. Kagawa in his prime, success of a Japanese player in Europe, was invited in an interview. The interview was taken by Natsuki, where he met her for the first time. Previously, the rumors went out that Kagawa was dating a Japanese adult star named Ichinose. Neither of them confirmed their relationships. As of 2018, the net worth of Japanese midfielder, Shinji Kagawa is estimated at $25 million. The Borrusia Dortmund player has an annual salary of $9 million. He has endorsed Adidas and Audi. In June 2012, Premier League Manchester United signed him for 12 million pounds with 5 million pound possible add-ons. Earlier, Borrusia Dortmund signed Kagawa for only 350,000 Euro. 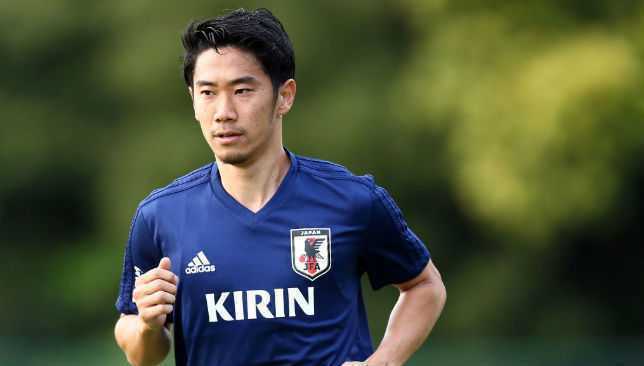 It was due to a release clause in Kagawa's contract with Cerezo.